What do we actually know about sound, the material of music, speech, and noise? What is sound exactly? Where is it? What would it look like if we could see it in air? 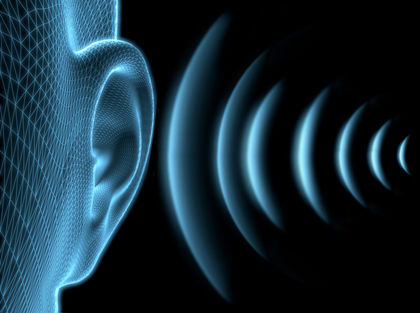 What happens to sound when it enters the human ear and is ‘processed’ in the brain? When and how does sound become music? When I was a young musician asking these questions, I found it challenging to find real explanations I was seeking. When I visited the college music libraries in Boston I was surprised to find almost nothing that addressed these issues directly. My next stop, the science libraries at MIT and Harvard, had a variety of information, but it was scattered among unrelated disciplines and written primarily for those in their own fields. So I spent the next decade collecting and compiling information about sound, the ear, and more recently, the musical brain. Sound Waves and Their Properties in the Surrounding Media, Studies on the Human Ear, and The Musical Brain make up a trilogy of informative sources designed to fill a void for musicians, artists, and others who wish to know more about sound, music and its appreciation. My goal is to provide a detailed explanation of sound, the ear, and the musical brain which is accessible with some effort, asks and answers questions comprehensively, and is not cleverly confounding, confused and ambiguous, or disingenuously ‘watered down’. My hope is that one day a young musician will walk into a local music library, or browse the Internet, and discover answerable questions about what and where sound is, how it is modified in the ear, and ultimately how it is converted to speech and music – the foundations on which music lies. Each source embodies a different format that is suggestive of its unique character. Sound Waves . . . is literal and explanatory, Studies on The Human Ear borrows the form of the ancient Greek Dialogue. In The Musical Brain, I attempt to simulate the manner in which our brain experiences its environment – focused in the present, yet jumping around in our mind from one thing to another. All three sources come with an Introduction, and a Table of Contents that links to subject pages. In addition, Sound Waves . . . is accompanied by an Acoustic Wave Spectrum, the first comprehensive sound wave chart displayed on a single poster-size page. The full-screen AWS chart and accompanying description is available through a link located at the bottom of the Sound Waves . . . page. Sound Waves . . . and Studies on the Human Ear have both been published in book form. The Acoustic Wave Spectrum was first displayed in the List Visual Center at MIT’s Media Lab and is included with D. J. Spooky’s Sound Unbound audio CD.